Usually when an album is released by a band about to split or already disbanded, it's common practice to look for clues hidden in their final artistic statement. When The Smiths posthumously released Strangeways, Here We Come, for example, critics and fans wasted no time pouncing on the closing 'I Won't Share You' as evidence of Morrissey and Marr's combusted partnership. 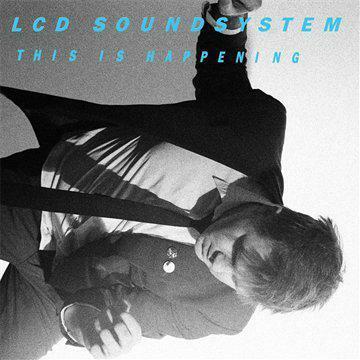 With LCD Soundsystem's swansong, however, things are a little different. Since James Murphy's motley crew of punk-funkers and electro boffins first burst into public consciousness with 'Losing My Edge', a deliriously funny and acerbic song about facing up to the fact your hipster days are numbered, it's been pretty clear that this super-cool NY band aren't exactly hard-nosed careerists who'll still be pounding out the hits in a decade's time. In recent interviews, Murphy has made no bones about the fact he feels album number three marks the right time to move on. This is Happening's opening track, 'Dance Yrself Clean', initially seems like the flipside of 'Losing My Edge'. Over pattering tribal percussion and minimal bass, Murphy once again takes a look around the scene that's been his home for most of his adult life. This time, however, he sounds resigned, singing "Everybody's getting younger" in a sweetly mournful voice. But this serenity is something of a red herring. Soon, the track picks up pace before exploding into a glitter shower of bass-heavy electro, like Depeche Mode on steroids. There's also some classic one-liners in there, such as ""Talking like a jerk/ Except you are actual jerk", from Murphy, a lyricist who always seems to pick up inspiration from sozzled early-hours arguments overheard on the night bus home from the club. It's a glorious opening salvo, but if there's one problem with 'Dance Yrself Clean' it's that it's too long, and is one of a clutch of tracks on This is Happening which raise the suspicion that Murphy has reached the end of an artistic cul-de-sac with his current band. For a start, while on LCD's previous two albums Murphy drew from an extensive smorgasbord of influences, on This is Happening he seems overly fixed on pillaging the back catalogue of one David Bowie. Comeback single 'Drunk Girls' you will already know. It has romping fun with a glam retooling of Blur's 'M.O.R', a song so close to Bowie's 'Boy's Keeping Swinging' Albarn's boys cut out the lawyers and simply credited his thin white dukeness with a co-writer credit. To be fair to both Murphy and Blur, Bowie was himself borrowing from The Velvet Underground's deathless junkie boogie 'White Light/White Heat'. In fact, he liked the basic riff so much he used it again, on 'Fantastic Voyage' which appeared alongside 'Boy Keeping Swinging' on 1979's Lodger. You could successfully argue that Murphy's whole shtick is a post-modern riff on exactly this kind of pop culture pass-the-parcel, but 'Drunk Girls' itself is a terribly slight effort, apparently satisfied to be no more than the sum of it's witty reference points. Tellingly, in the attendant (hilarious) video, which sees the band attacked and humiliated by a gang of droogs in grinning dog masks, you can barely hear the song at all. And the Bowie referencing doesn't end there. 'All I Want' lifts the eternal space-rock guitar riff of "Heroes" and then does very little with it. Ripping off "Heroes", like ripping off The Beatles, is one of those things you just shouldn't do. There is no clearer way of saying 'terribly sorry, but we're plum out of ideas here'. Even worse is 'Somebody's Calling Me', which is apparently content to do nothing more than ape the queasy, punk-drunk swagger of Iggy Pop's 'Nightclubbing'. Yes, that's Iggy Pop's 'Nightclubbing', a song co-written by Mr David Bowie. Really, Murphy can't act surprised if he gets a letter from Bowie's lawyers tomorrow. None of these songs are bad; in fact the anthemic swoon of 'All I Want' is pretty majestic. But, coming from the man who delivered the brilliantly constructed melting pot of influences that was 2007's Sound of Silver, you get an idea why Murphy might feel it's time to move on. That suspicion is basically confirmed on what is probably the album's nadir, the irritating 'You Wanted a Hit'. Why is this song irritating? Because, with its treacley synth pads and gorgeous melodies, oscillating and fizzing on the periphery, this could easily have been This is Happening's most heart-stoppingly beautiful moment. It takes a while to hit its stride before a chugging rhythm straight out of 80s Fleetwood Mac appears. Then the synth handclaps come in - sheer bliss. But what's Murphy grumbling about over the top, like a drunk determined to ruin the party he's just crashed? "You wanted a hit/ but maybe we don't do hits/ I try and try but it ends up feeling wrong." Applaud the sentiment, but why is Murphy wasting the prettiest, most unaffected moment of this album on this winge? Are his fans really expecting a radio friendly hit from him? Is EMI, a label which has happily released not only Murphy's music, but music by his staunchly non-mainstream mates, really pressing him for a hit? Unlikely. But as Murphy keeps up his indie boy temper tantrum, the previously pretty melody gets discordant, which feels forced. The track ends up limping when it should soar, an excuse rather than a defiant artistic statement. What should be this album's highpoint becomes its most boring moment. It's a real shame and leaves a sour taste. Thankfully, the rest of This is Happening is much better. The terrific 'One Touch' is like the cattleprod proto-electro of Cluster or John Foxx getting a snazzy, body-popping make-over. Lyrically, Murphy seems to be anticipating the inevitable backlash against his band: "There's no way we can be pleased with this/ We've been waiting such a long time/ This is getting sort of unreasonable." 'I Can Change' is Murphy doing what he does best, taking some evergreen pop tropes, here borrowed from early-80s synthpop wunderkind Vince Clark, and imbuing them with the real sweat and desperation of a slightly nerdy man the wrong side of 30. Here, Murphy unexpectedly unveils a falsetto wail to rival Jimmy Somerville's. "Love is a murderer", indeed. A really beautiful moment. 'Pow Pow' has mutant disco all over it like a funky, kooky rash. A huge disco fanfare is constantly delayed while Murphy empties his mind of dislocated, stream-of-consciousness thoughts. That means we're treated to gloriously funny insights such as: "You should give us all of your drugs... We have a black president and you do not, so shut up". It's definitely an album highlight, although you can't help feeling that this is a road LCD have been down several times before. Final track 'Home' might well be the album's highpoint. 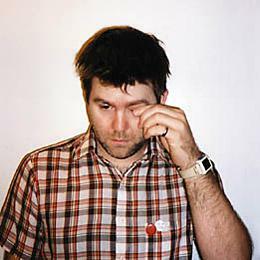 It's classic LCD and, ironically considering the earlier bellyaching of 'You Wanted a Hit', its generous, warm-hearted chorus sounds like it could easily triumph on daytime radio. It's a fantastic closing statement. Ultimately, you end up feeling that this is a guy rifling through his record collection and having a (very successful) go a recreating his favourite bits, which is very much how Murphy first appeared on 'Losing My Edge'. However, Sound of Silver proved he has the ability to take the best bits of Bowie, The Strokes, The Human League and myriad others and use them as a jumping off point for greater experimentation. There's nothing on This is Happening that measures up to the sophisticated electro-shock of 'Get Innocuous!' or the thoughtful Steve Reich-meets-Strokes genius of 'All My Friends'. If Murphy really believes he needs to move on from the LCD Soundsystem set up, well, on this evidenceÃ¢â‚¬Â¦ He has a point. It's really not a bad record. In fact, by anyone else's standards, it would be a success. 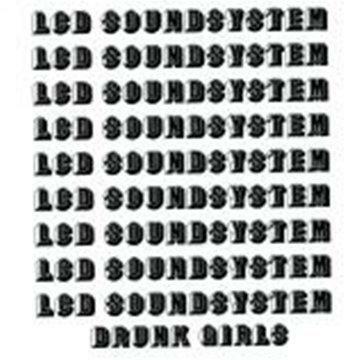 But this is LCD Soundsystem and, sadly, it feels like a missed opportunity.